F.A.I.T.H. - Sheri Bagwell - F.A.I.T.H. 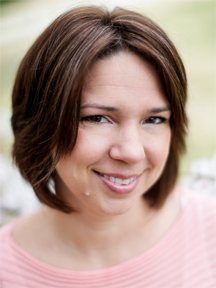 Sheri Bagwell is a health and wellness coach. Her personalized healing plans combine nutritional guidance, energy work, and meditation. When you work with Sheri you learn to connect with your body, heal it, and take back your power for your health and your life. The release of pain and the unfolding of your fully functioning heart, mind, and body is one of Sheri’s true delights. She enjoys nothing more than reminding your body how to function and watching you move from pain and confusion to feeling freedom in your brain and body. She loves to watch your life flow more easily and know you are more connected to Source and are enjoying life. As part of Dr. Jacob Teitelbaum’s Practioners Alliance Network, Sheri is trained in all the systems of the body and understands how they are connected. Prescribing pharmaceutical quality supplements to support your body and your mind is key in regaining your health and wellness. Sheri hosts amazing group classes and workshops like her signature flowing breath and energy meditation, and finding freedom from female problems. She also designs programs for people with excess body weight and chronic conditions like fibromyalgia and chronic fatigue. In addition, Sheri is available for weekend retreats in locations of your choice. Please contact her if you would like to host one of these classes or workshops or check out her website for the current class schedule. Sheri’s husband and son are God’s greatest gifts to her.